Let me start by saying that I don't yet know anything in addition to what I write below. We are all waiting for more details. 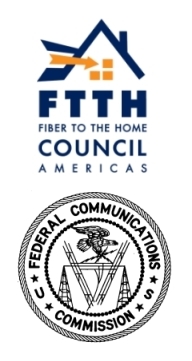 On January 30, the FCC will take action on the FTTH Council's Gigabit Race to the Top progam. We previously took a brief look at the idea, while focusing on big cable and telephone companies' responses. FTTH Council expects the FCC to adopt a test program that will start with a call for those interested to submit "expressions of interest." The reason we are noting this now, when we know so little about the program is that they believe the program will move quickly once it is announced, so those who may be interested should start planning for it. From what we know, this program will be open to community owned networks and will be largely focuses on smaller markets with preference for networks that will be improving connections to anchor institutions in particular. Below, I have embedded a discussion between Craig Settles and Alyssa Clemsen-Roberts, the Industry Affairs Manager at the Utilities Telecom Council.